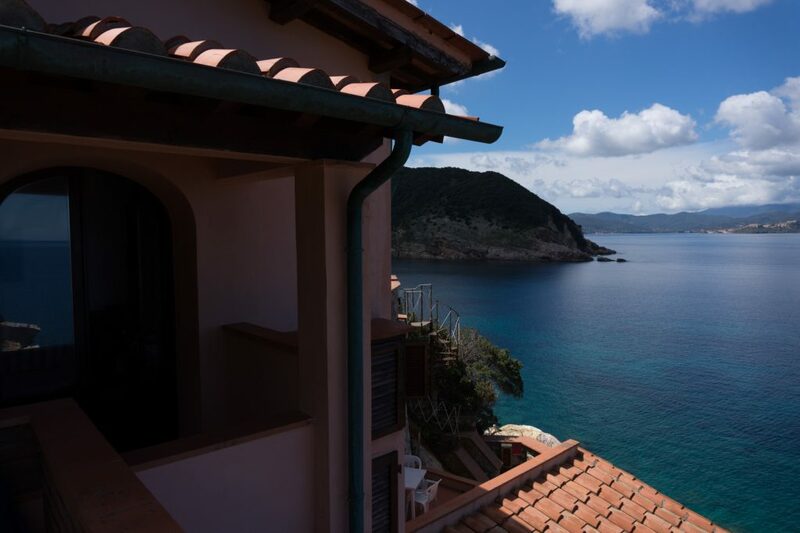 Approaching Portoferraio, the ferry steams along the coastline ranging from Cavo to the harbour, one of the wildest part of the Island. 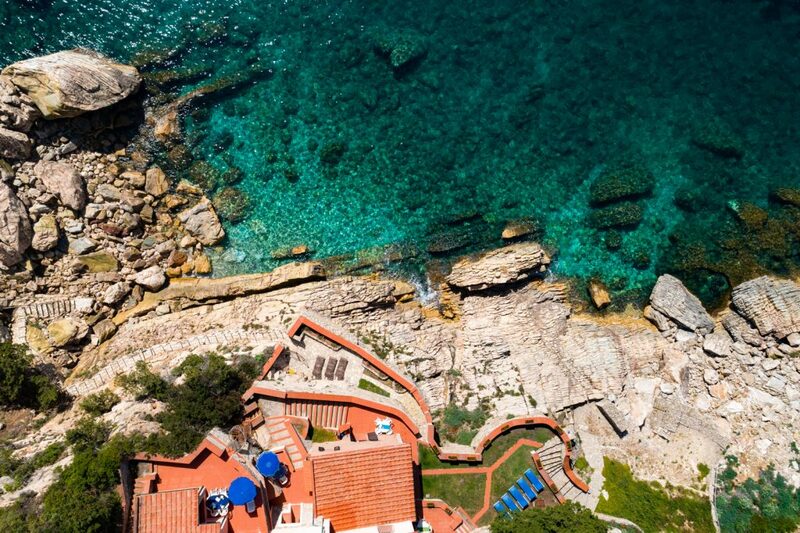 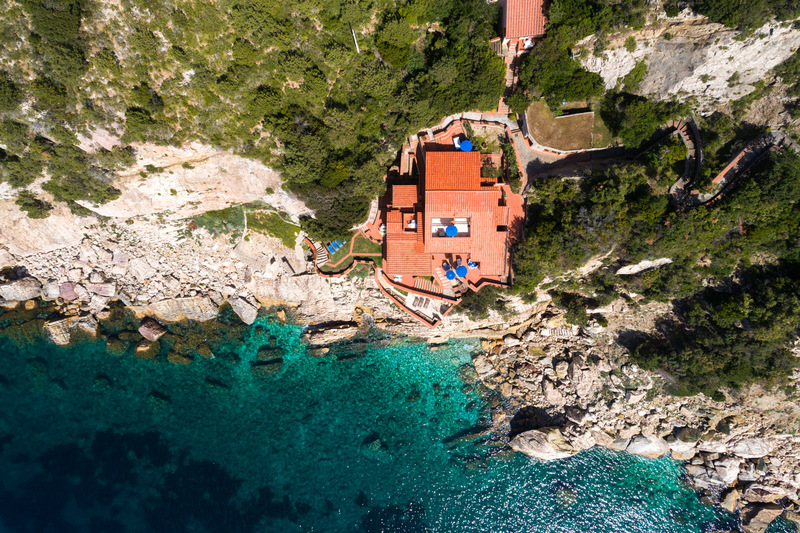 Passing over Cala Mandriola and Cala dell’Inferno, in between the peaks of Nisporto and Nisportino, you can see a pink villa which dominates the inlet like a fortification. The Residence La Cota Quinta was built in the Dolce Vita years by some roman movie directors, who found there their private oasis. 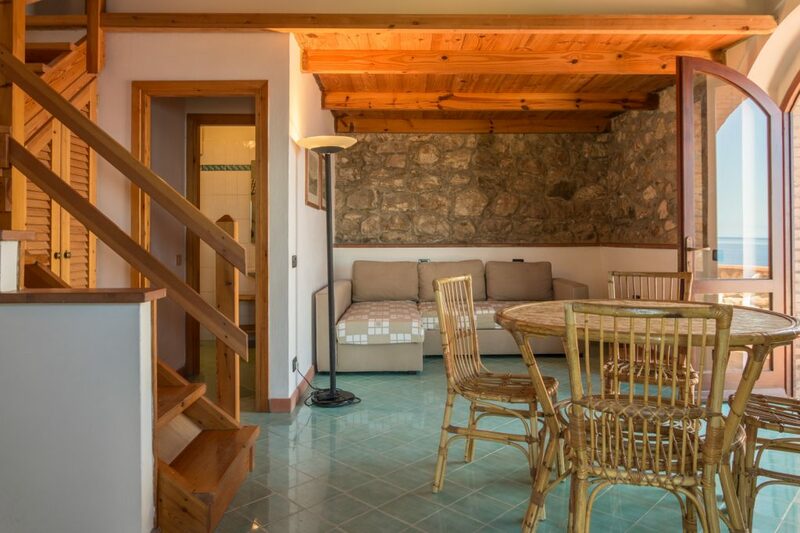 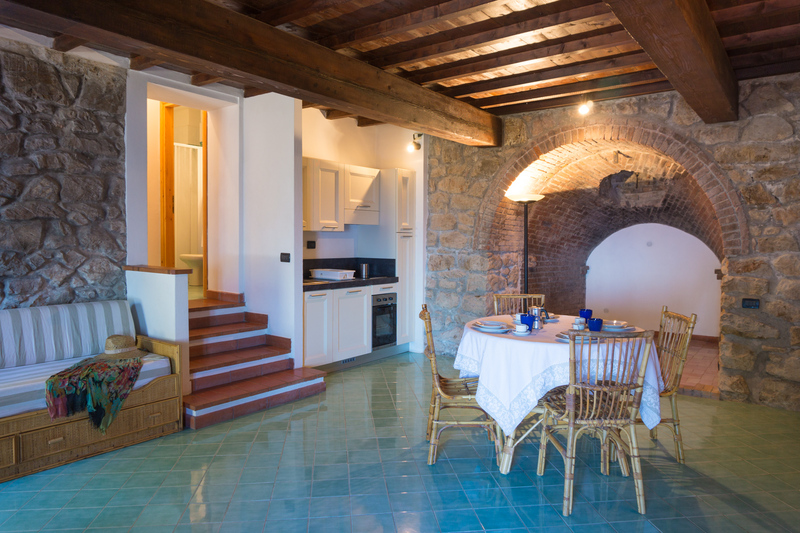 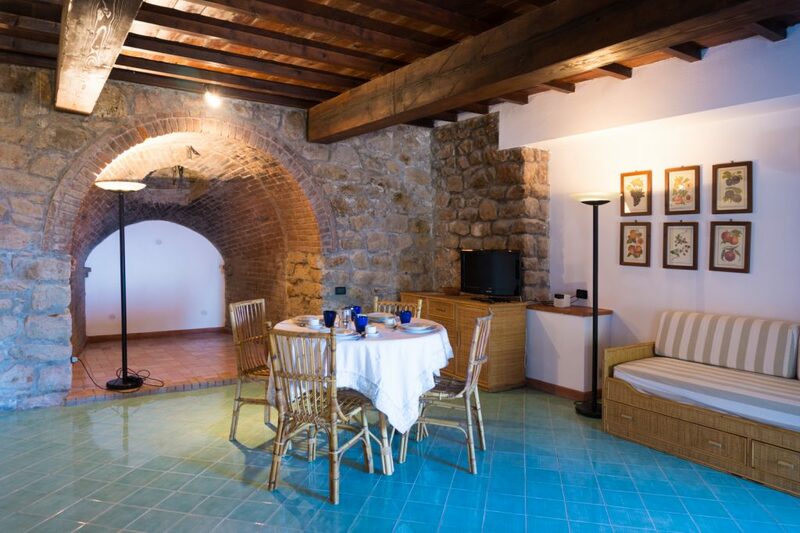 The Villa is settled over the still existing walls of an ancient furnace. 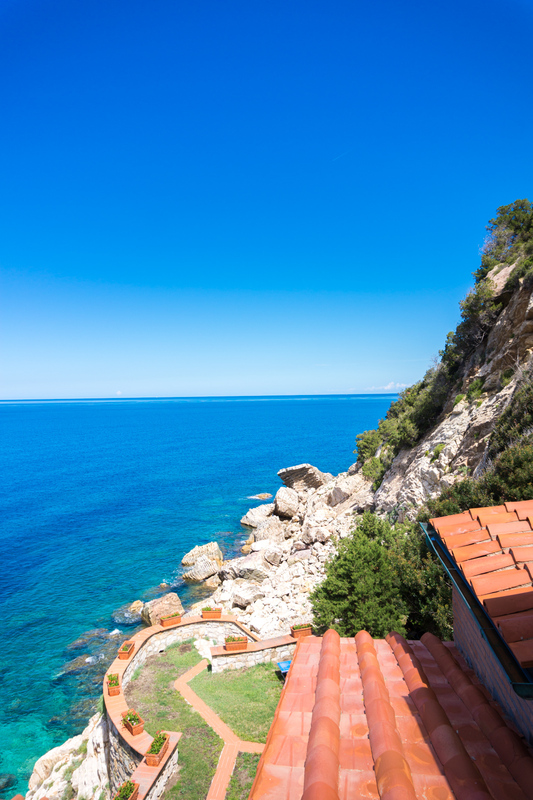 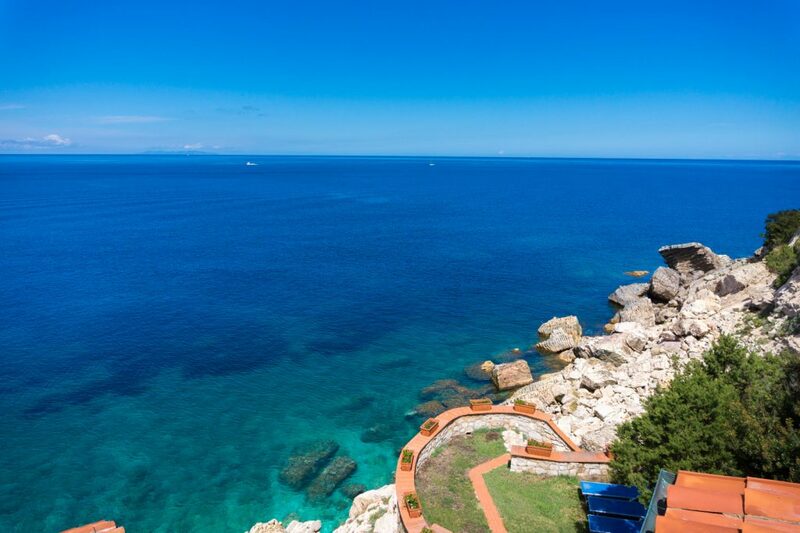 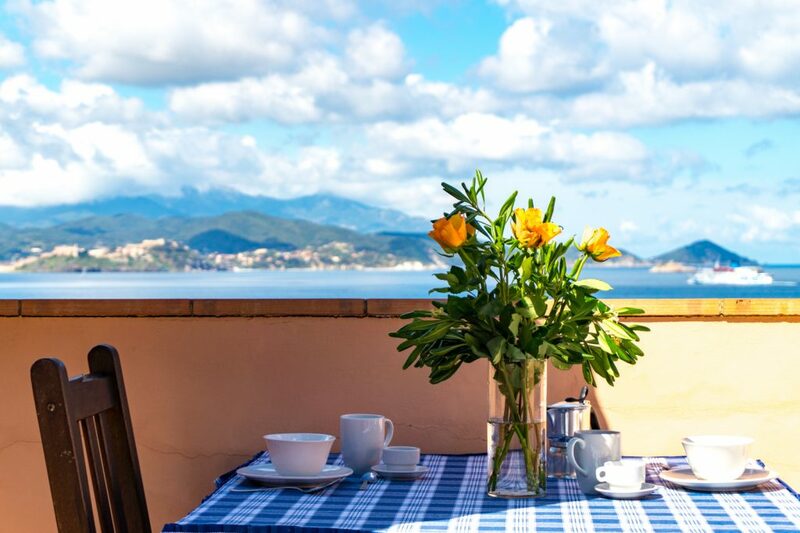 You can enjoy the beautiful sight of the vast maritime panorama from the balconies and the commonal terraces. 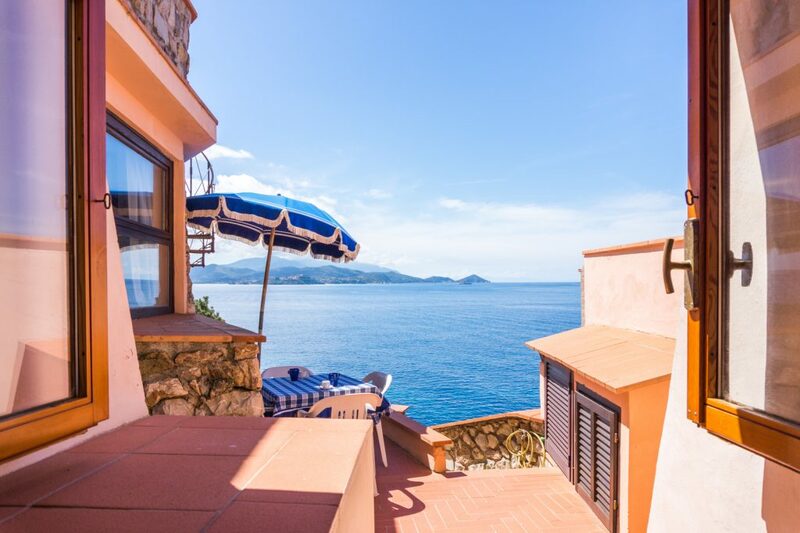 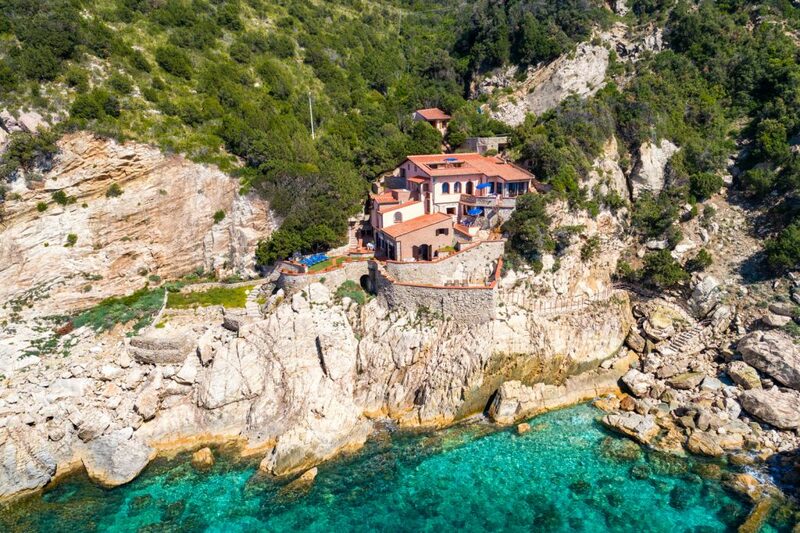 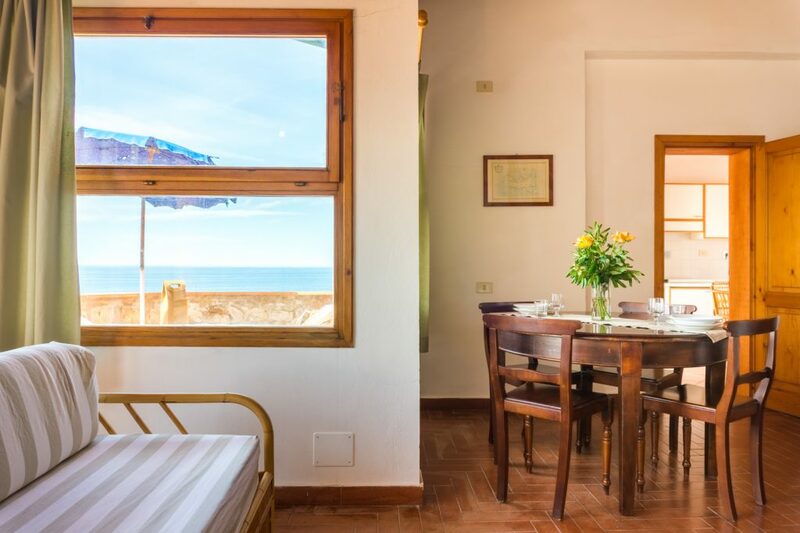 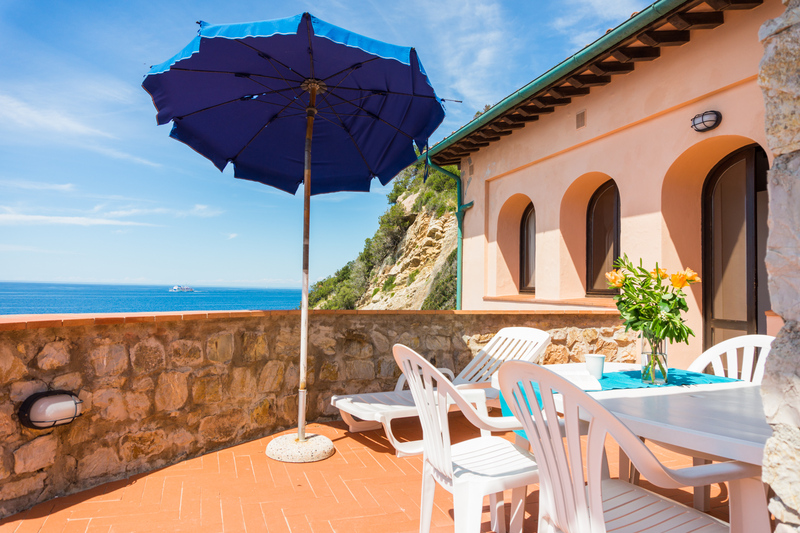 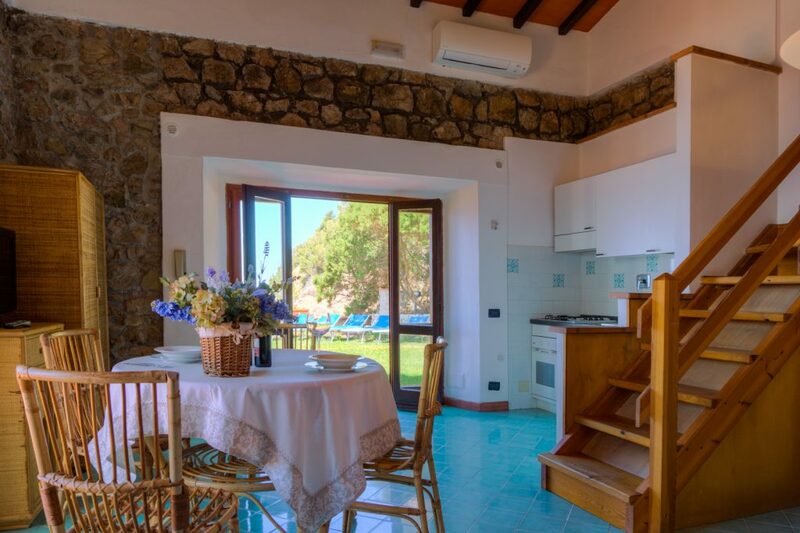 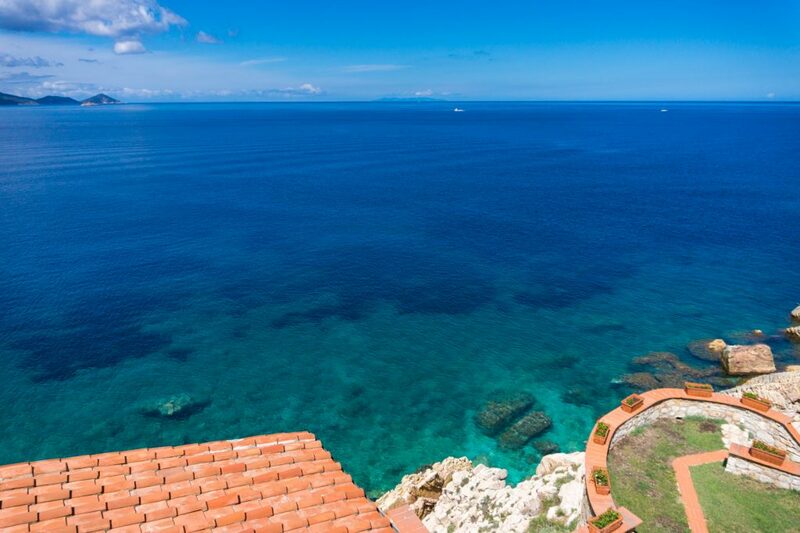 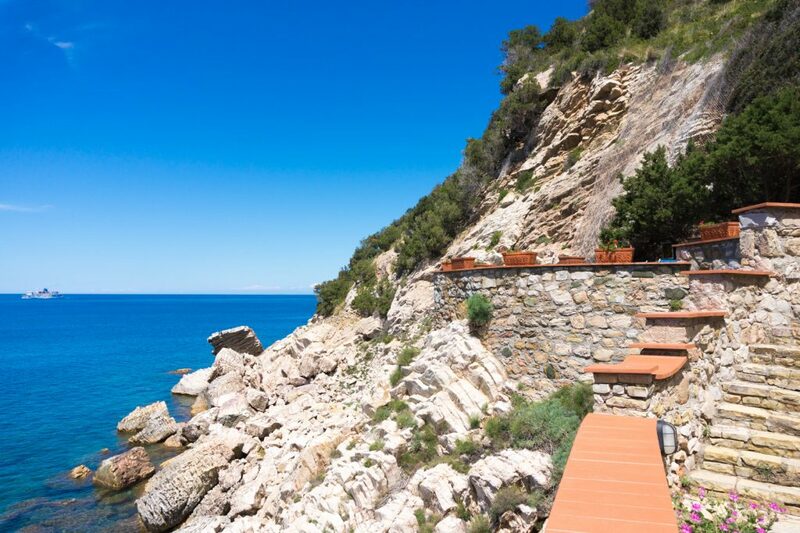 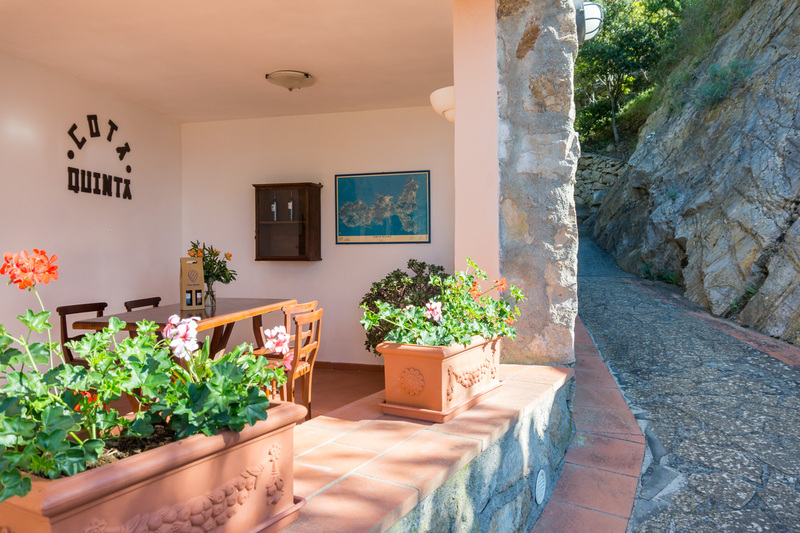 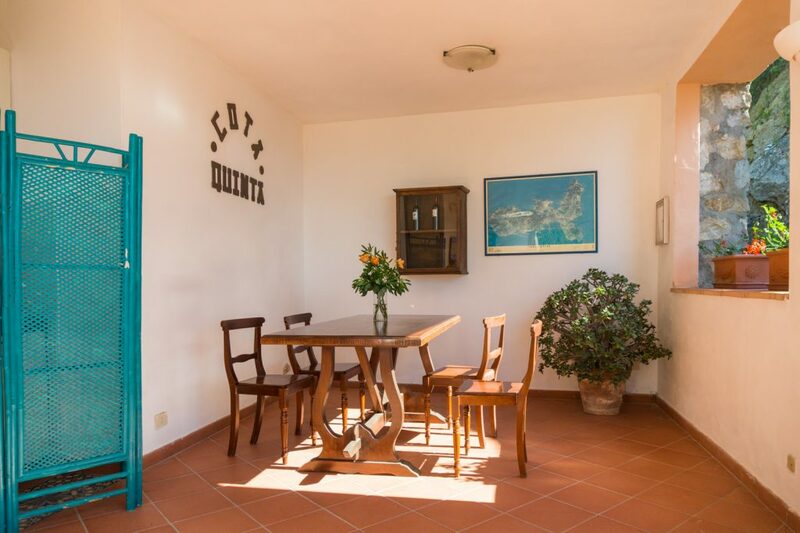 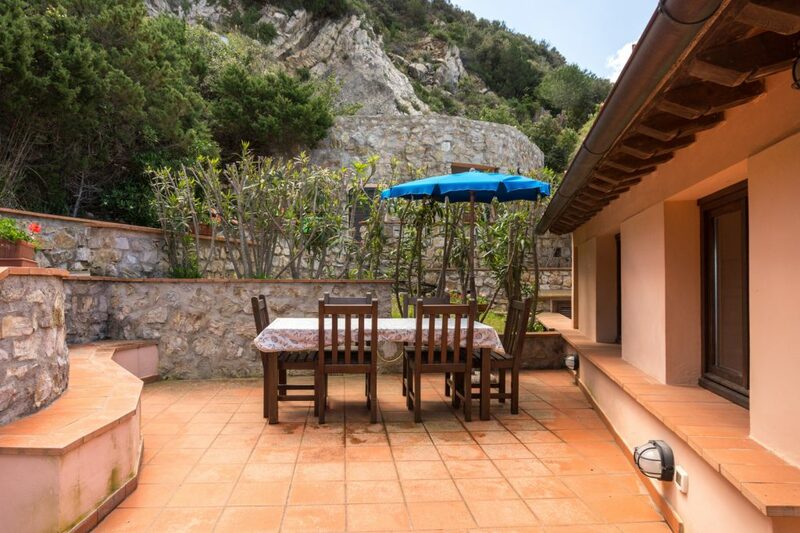 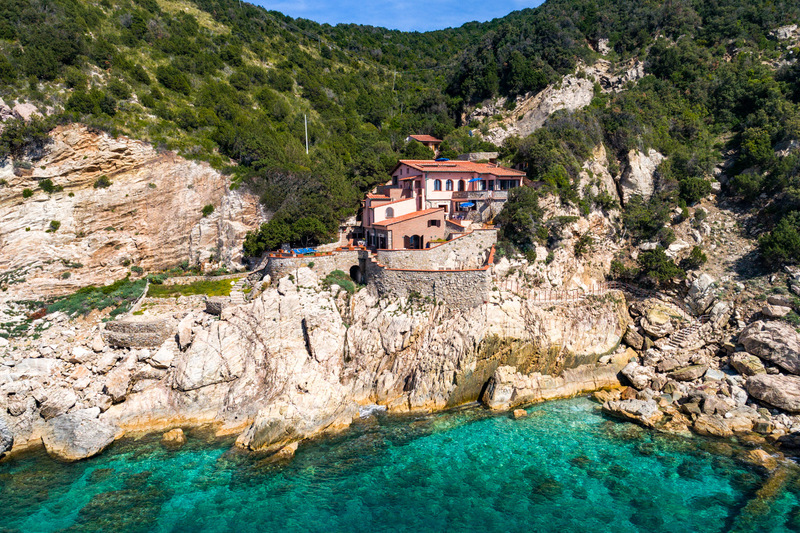 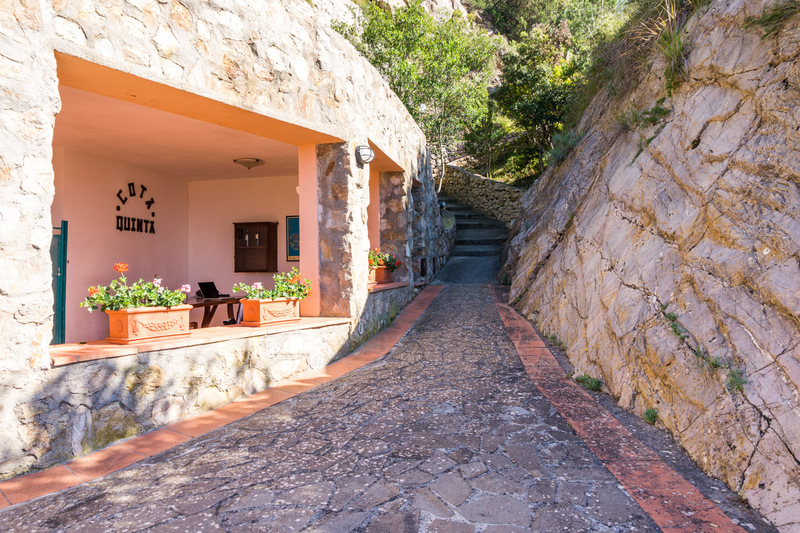 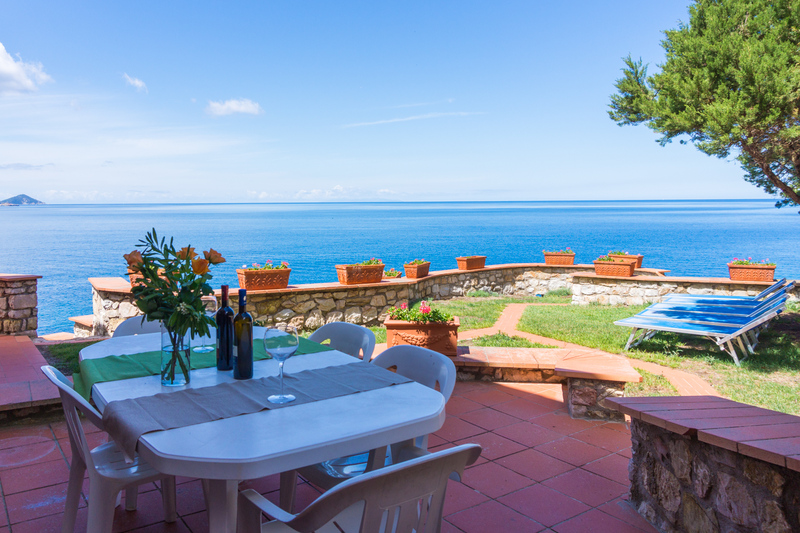 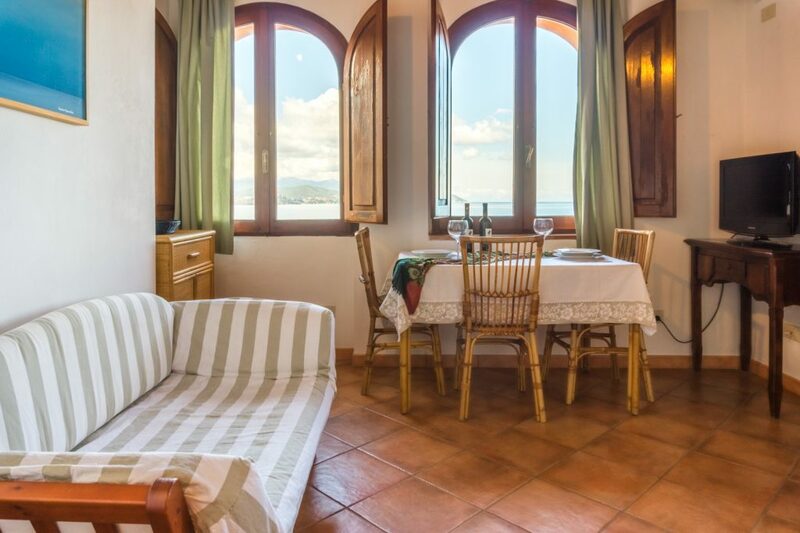 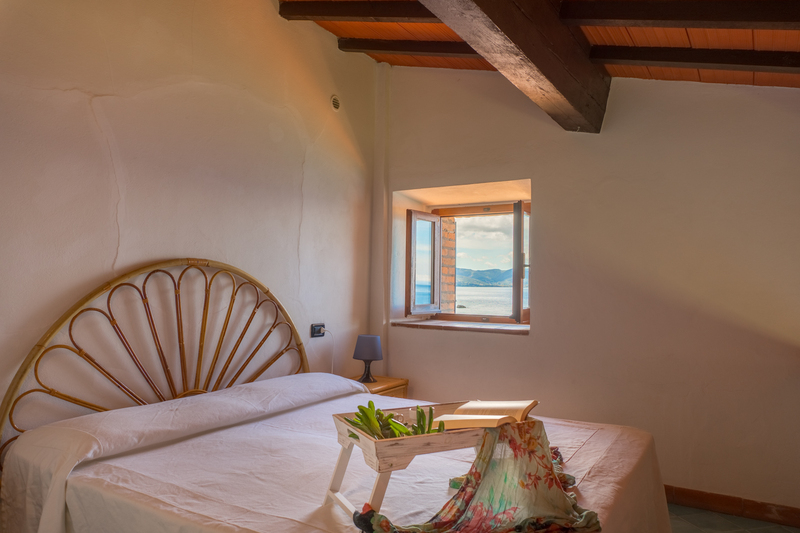 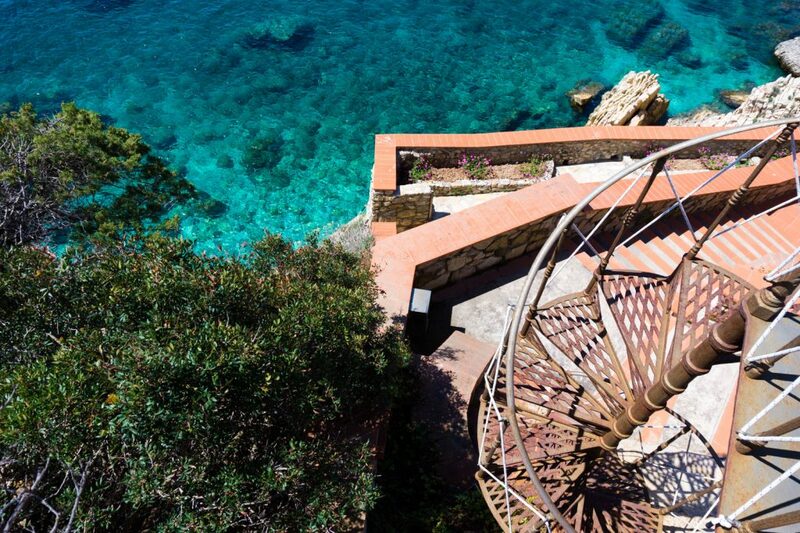 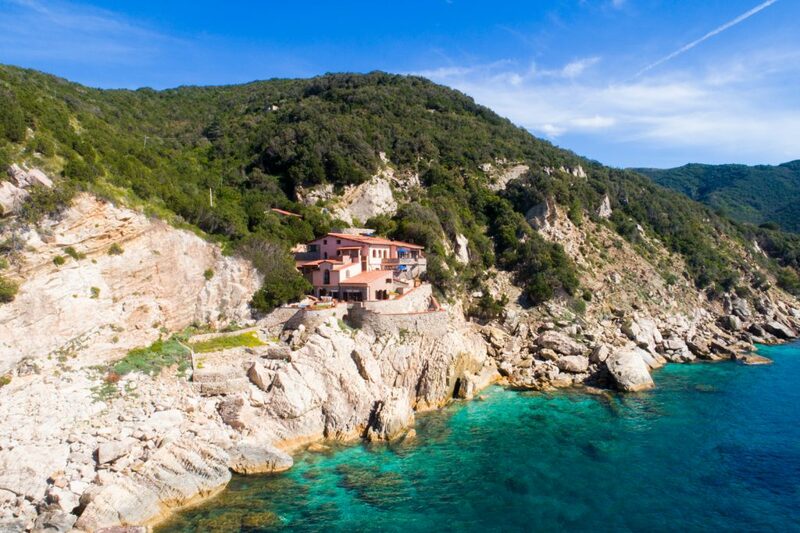 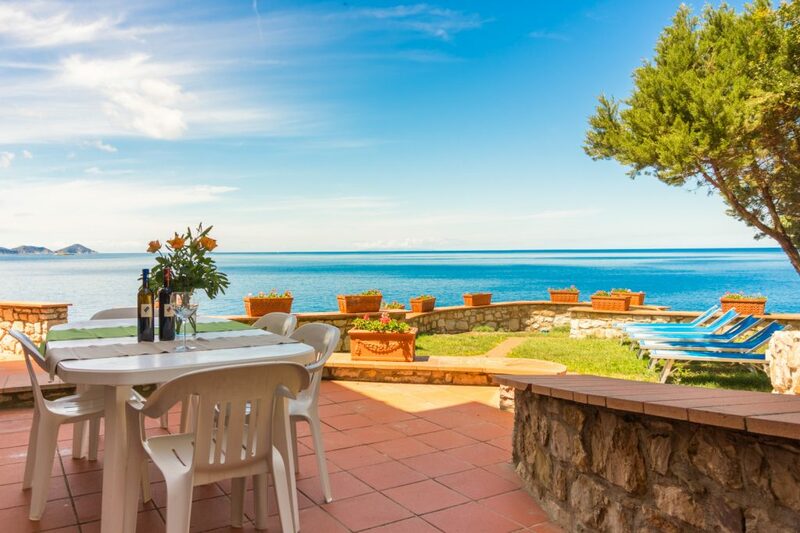 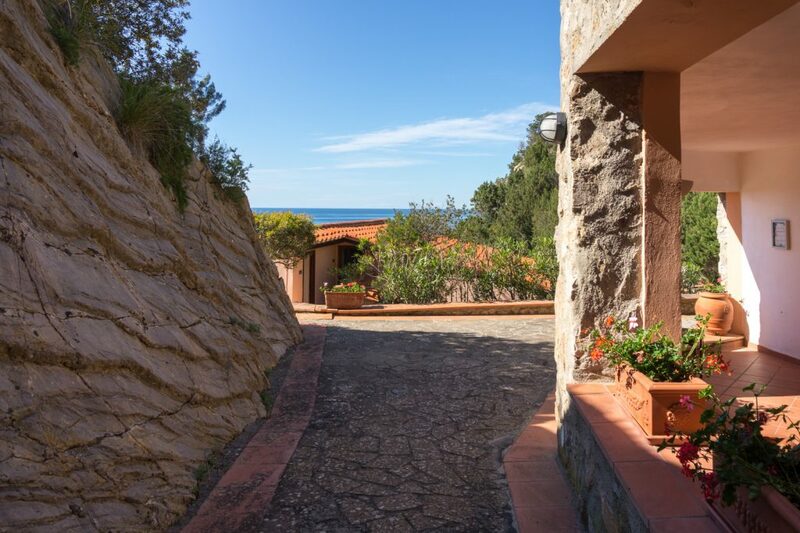 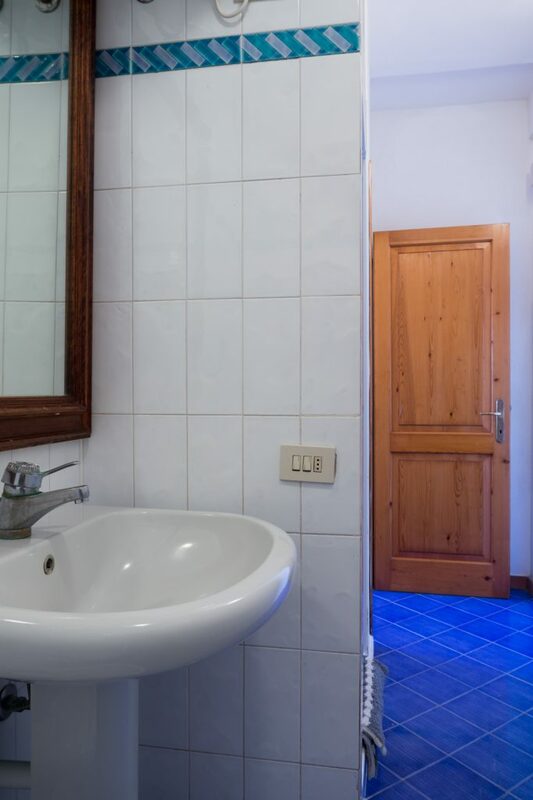 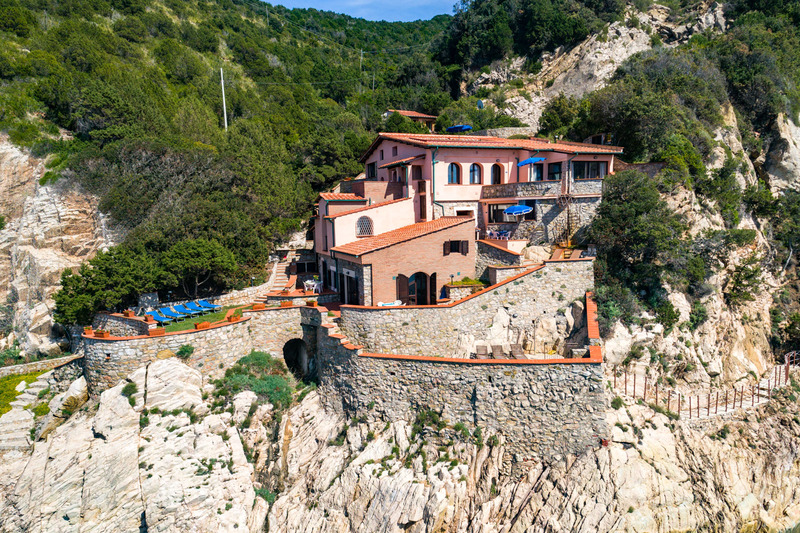 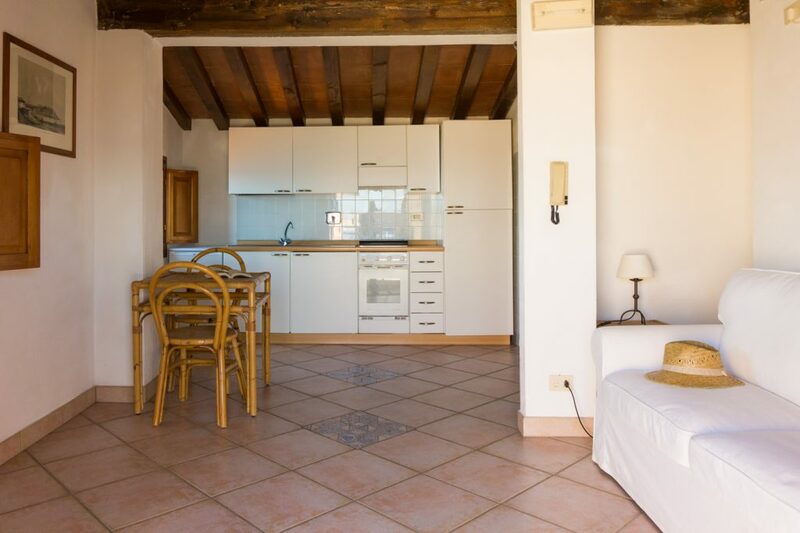 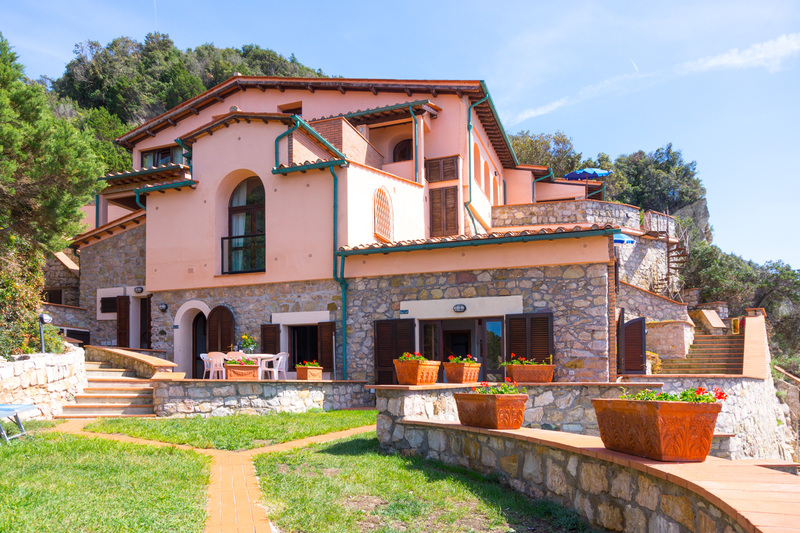 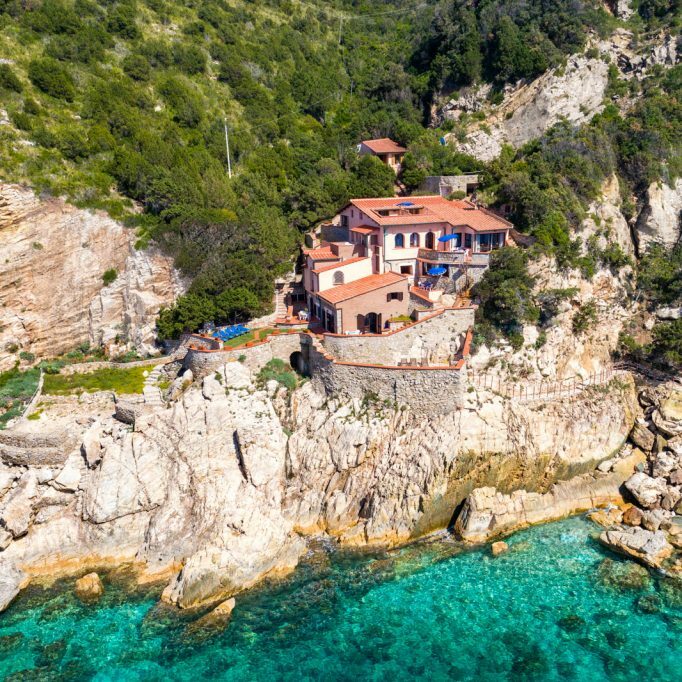 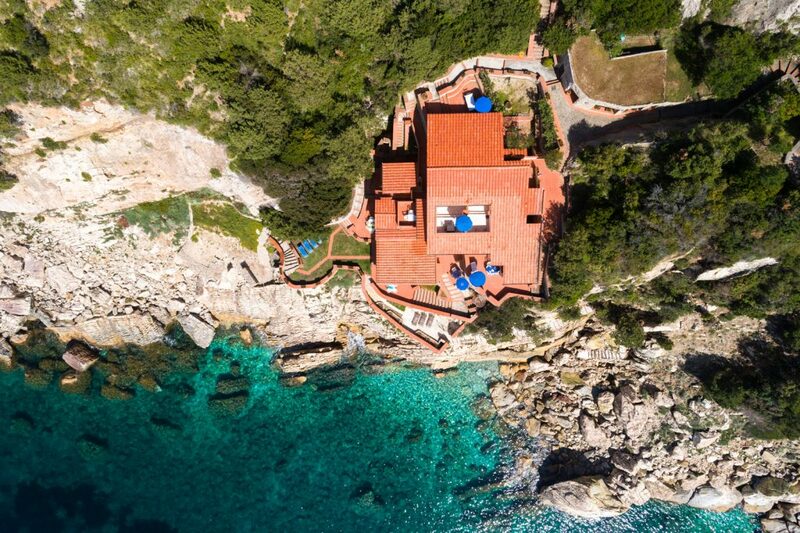 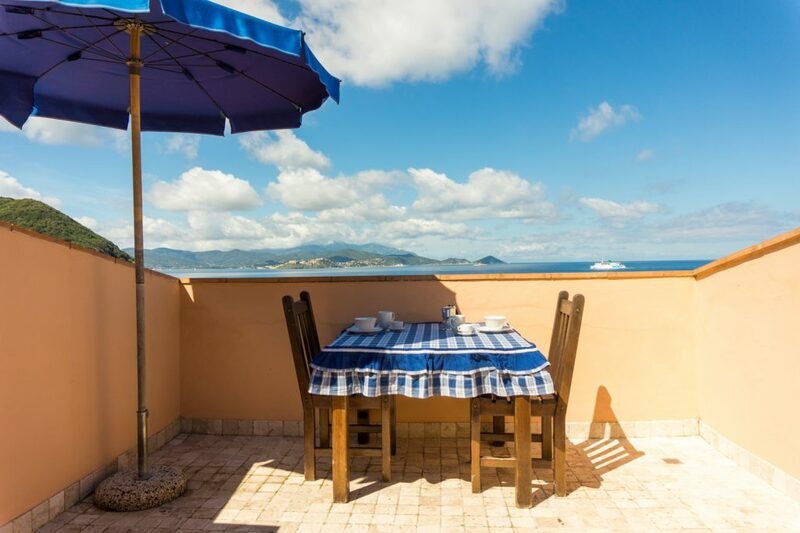 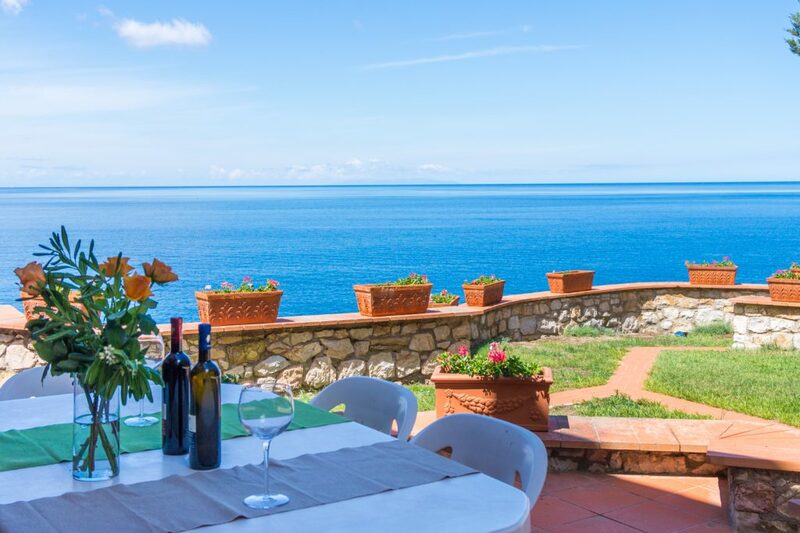 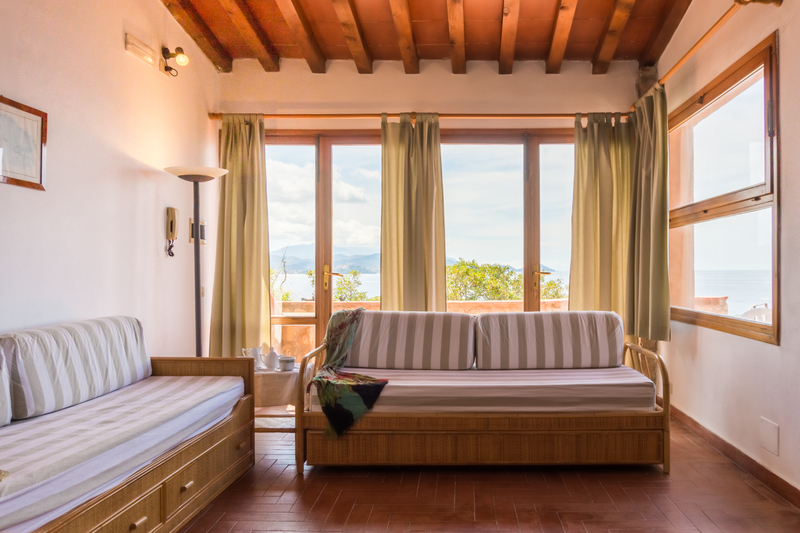 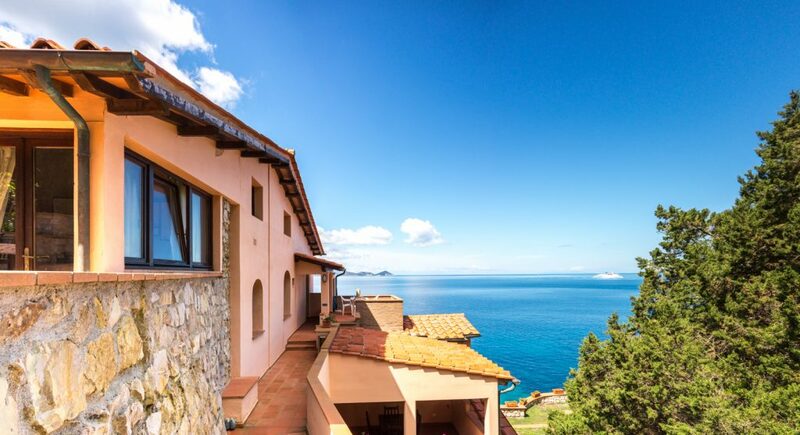 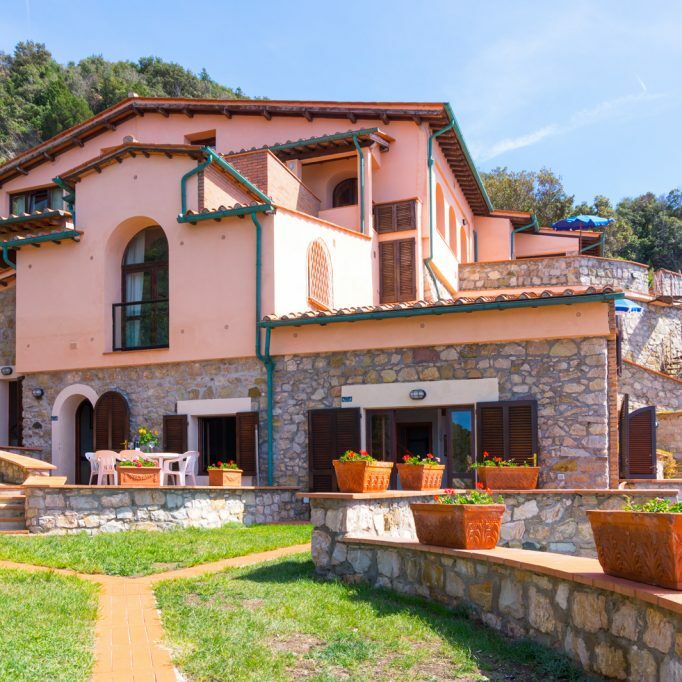 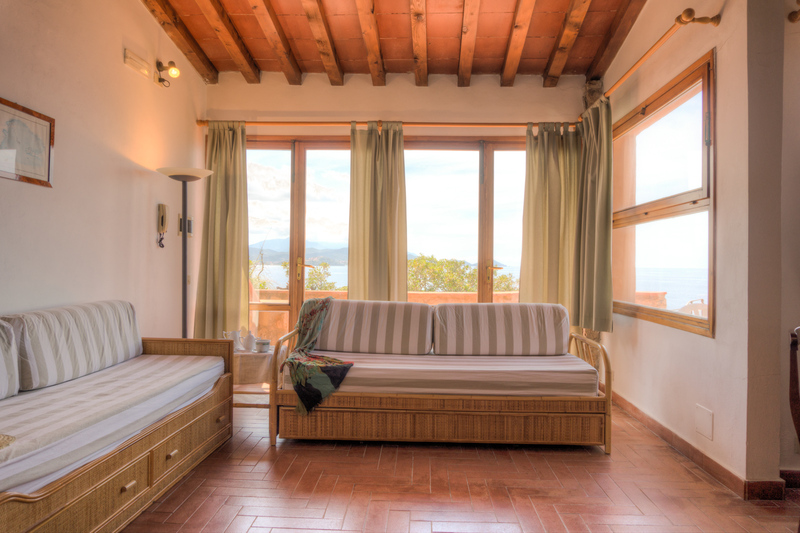 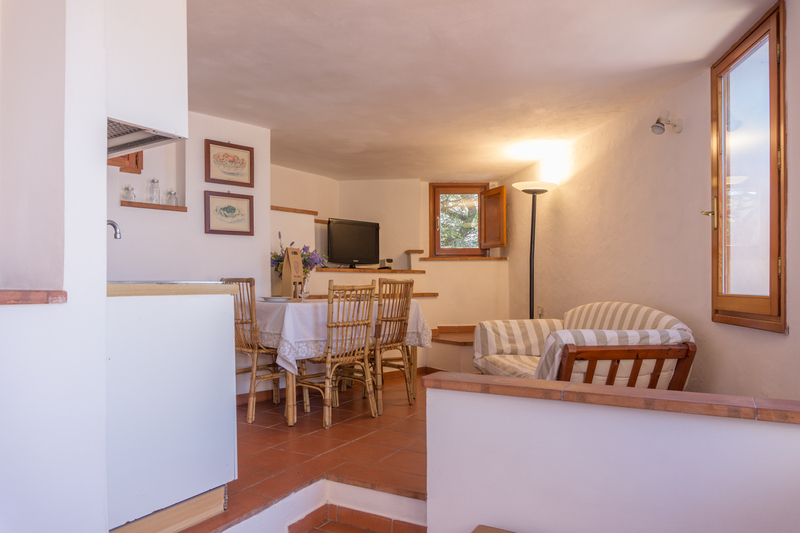 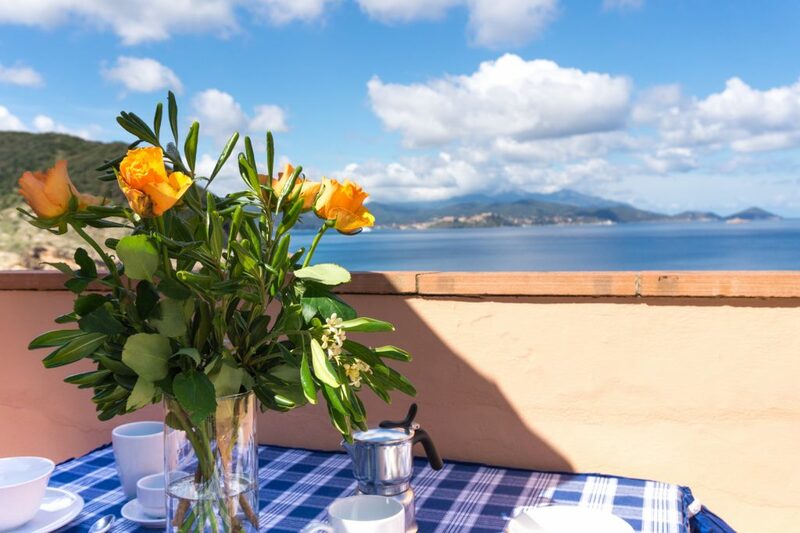 La Cota Quinta is located on one less manipulated coastline of the Elba Island and is framed by uncontaminated greenery of Mediterranean maquis of the National Park of Tuscan archipelago. 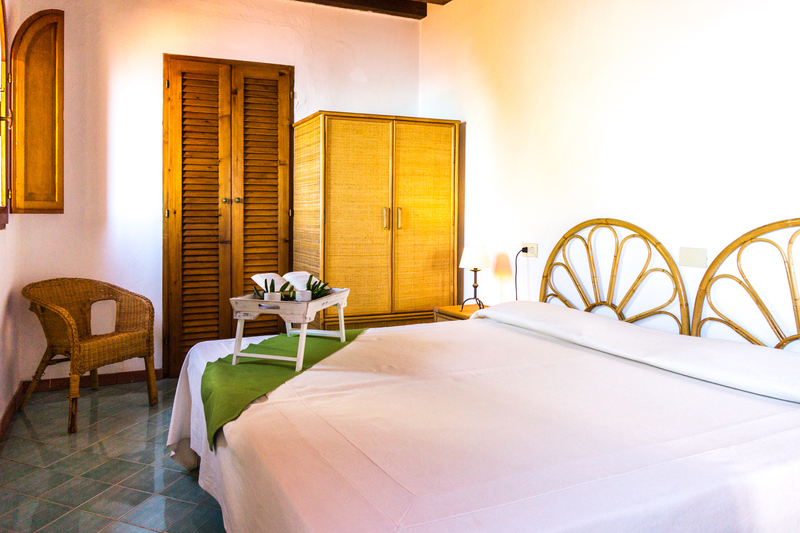 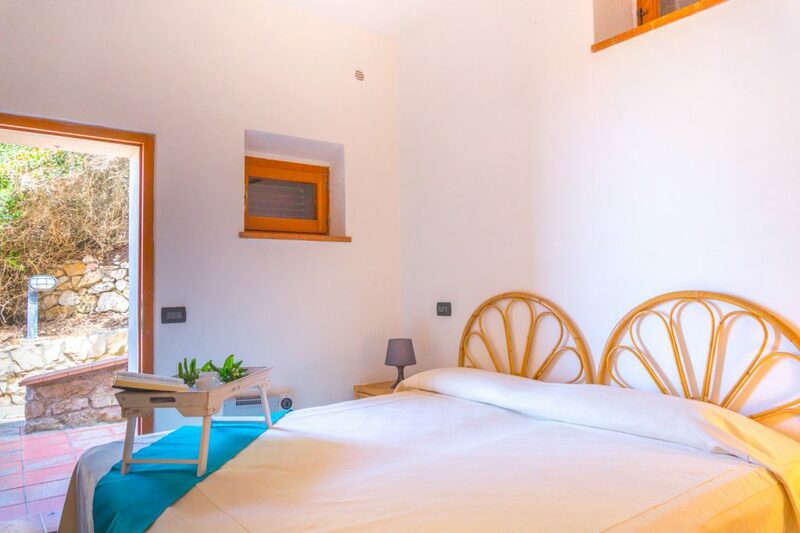 Residence La Cota Quinta offers 9 apartments, different in size and typology, all with marine style furniture. 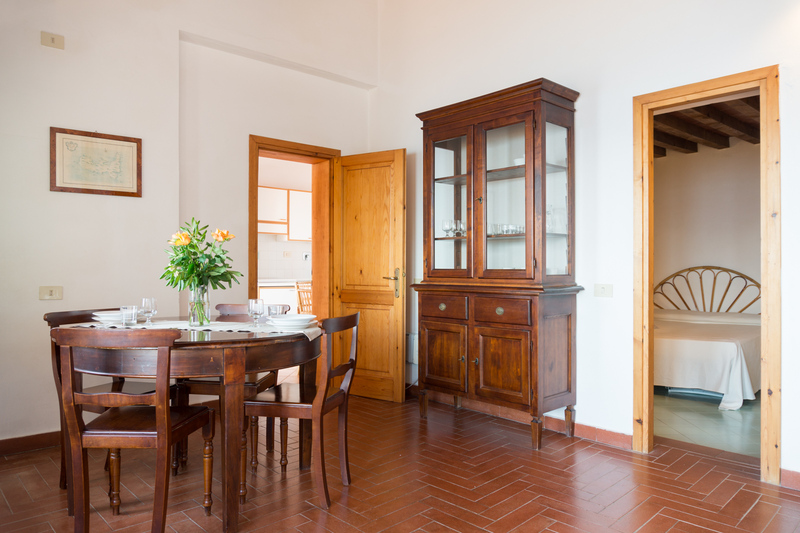 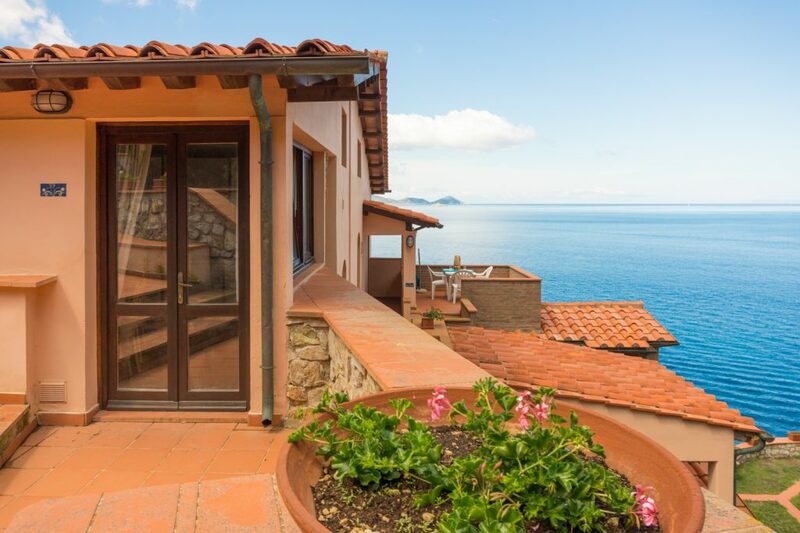 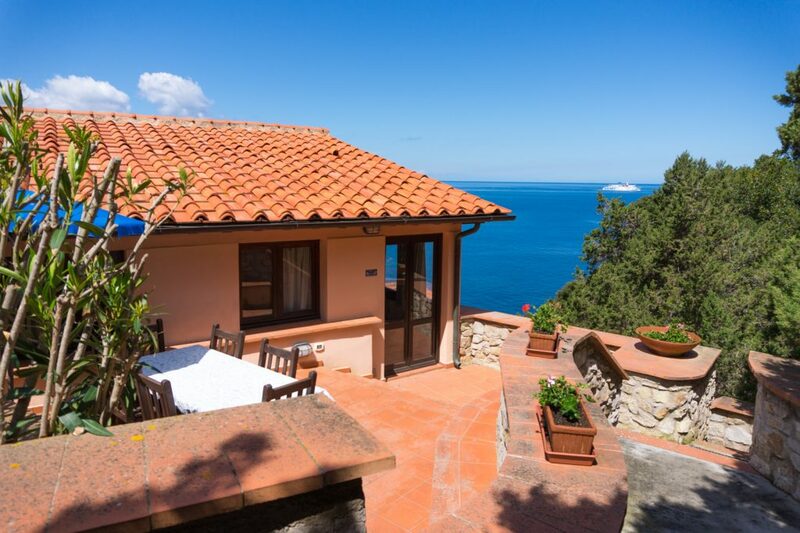 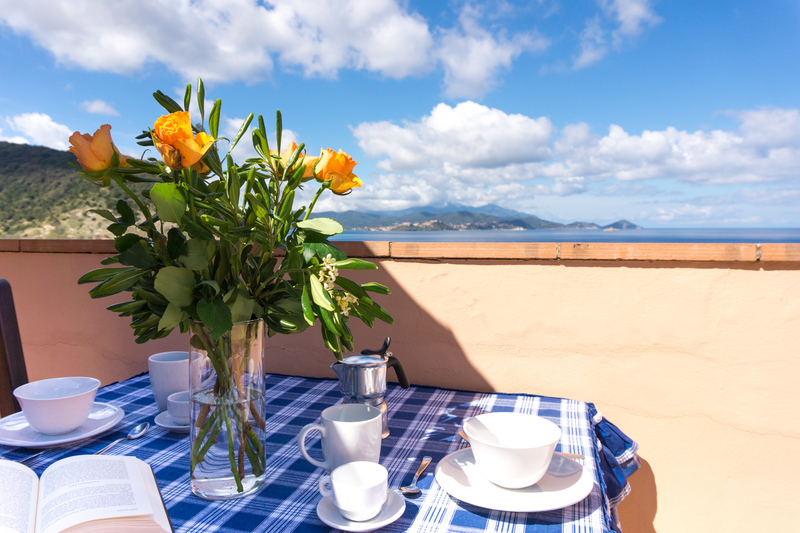 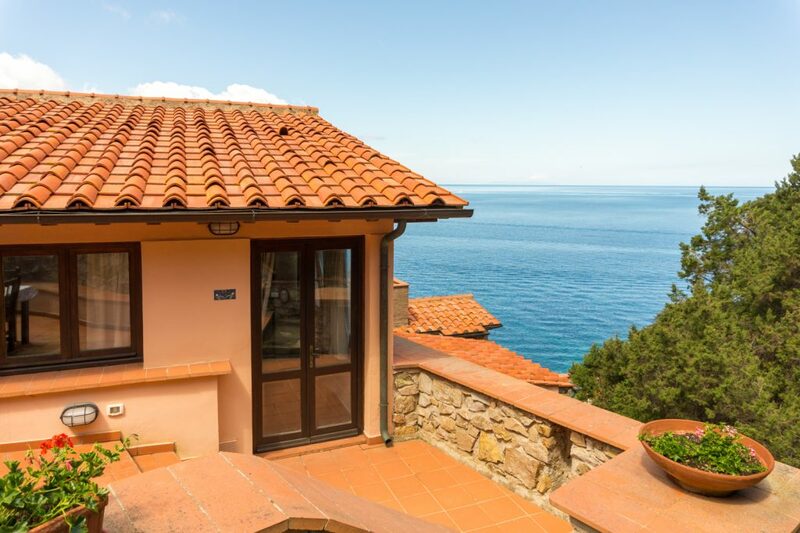 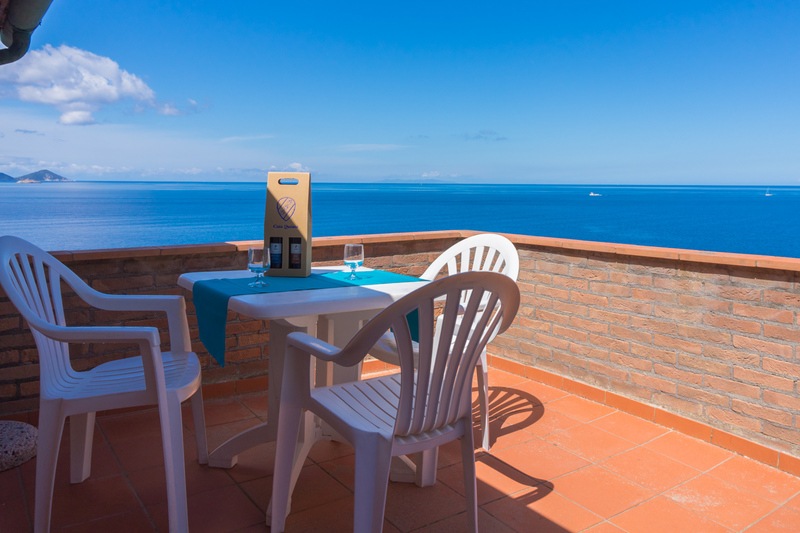 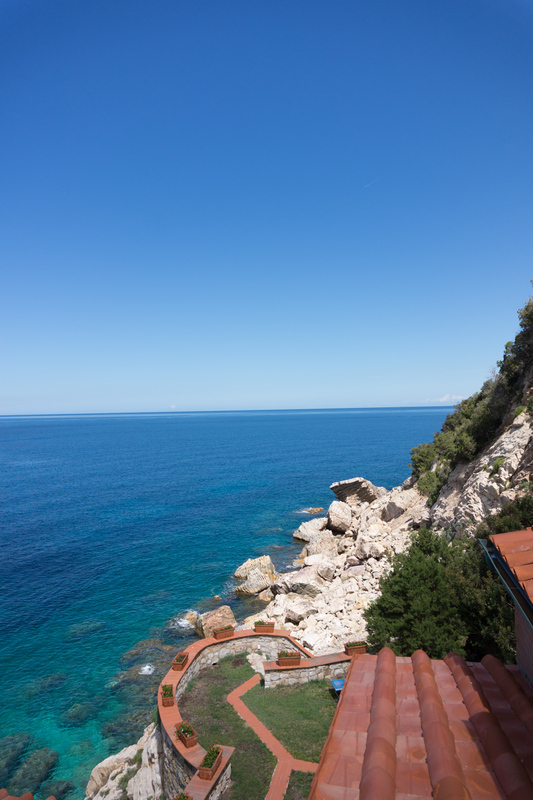 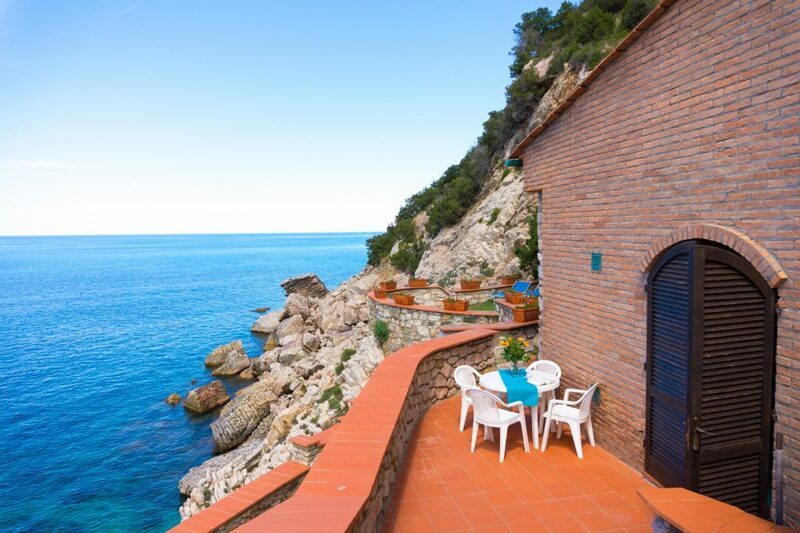 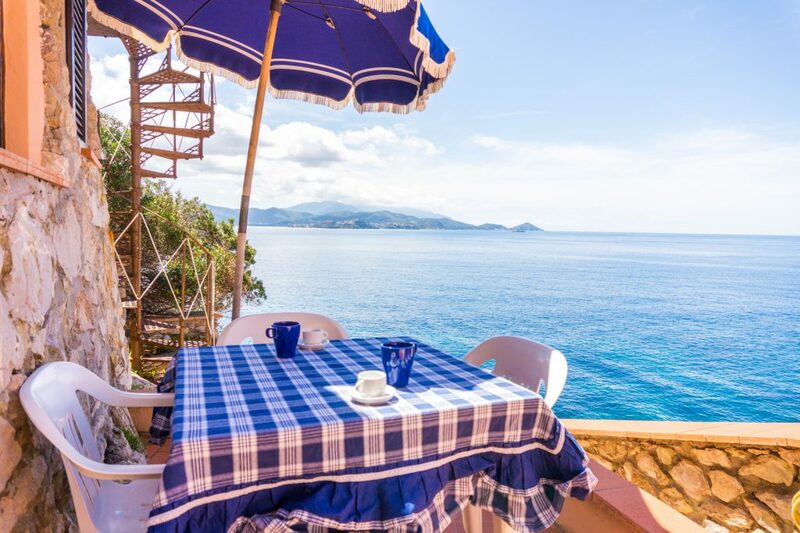 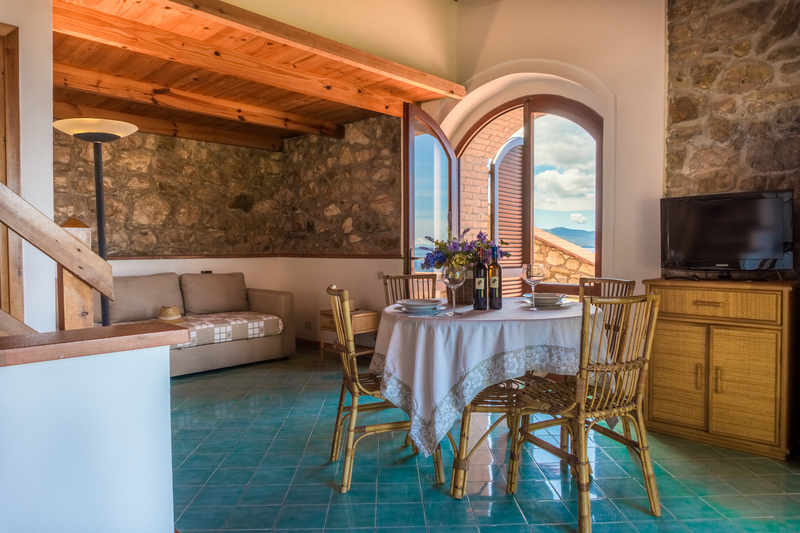 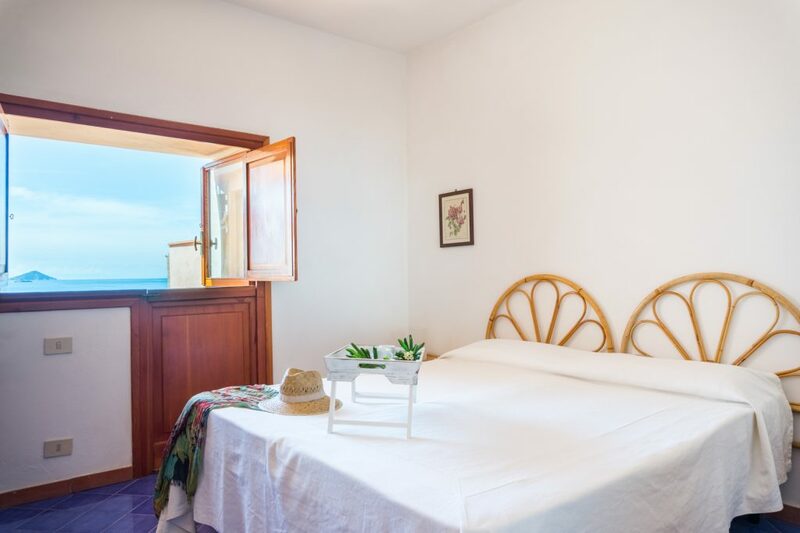 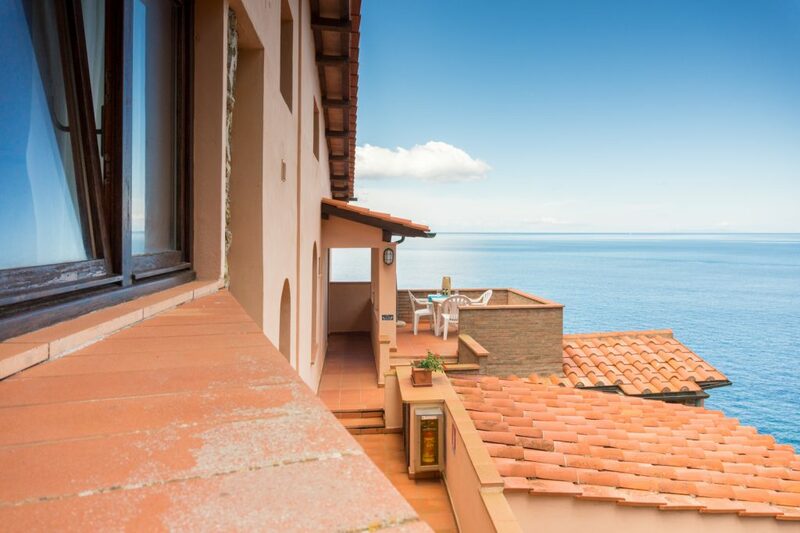 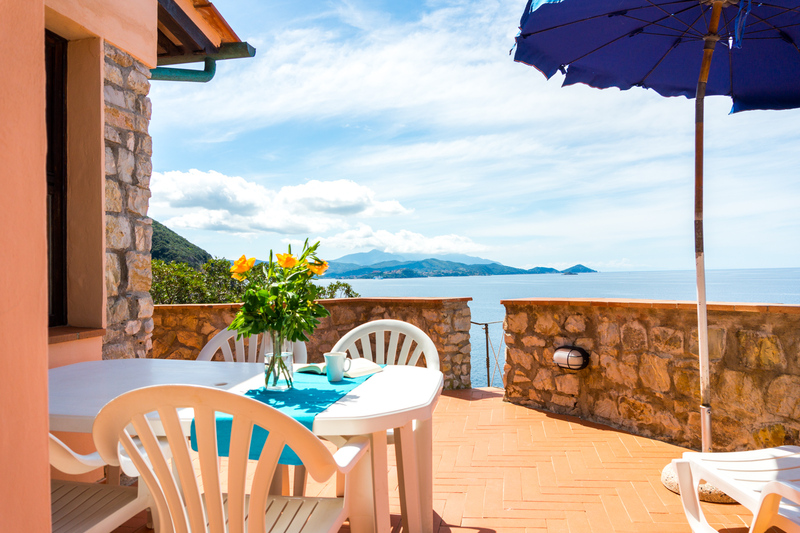 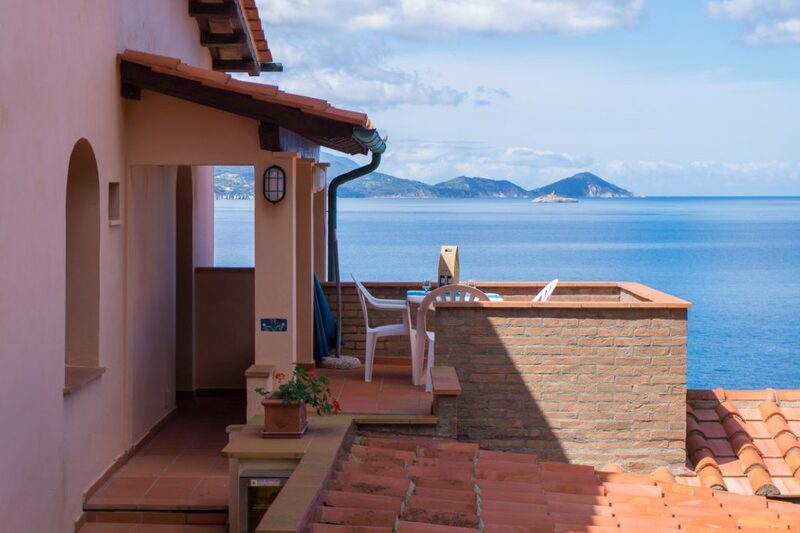 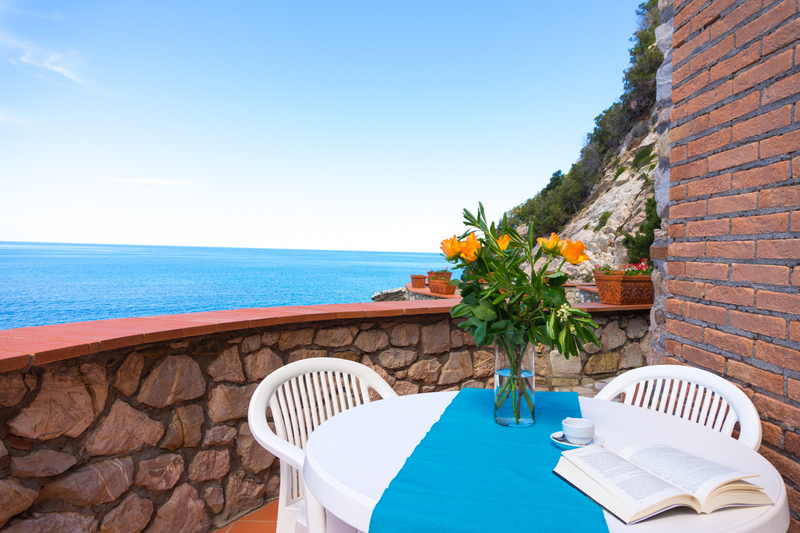 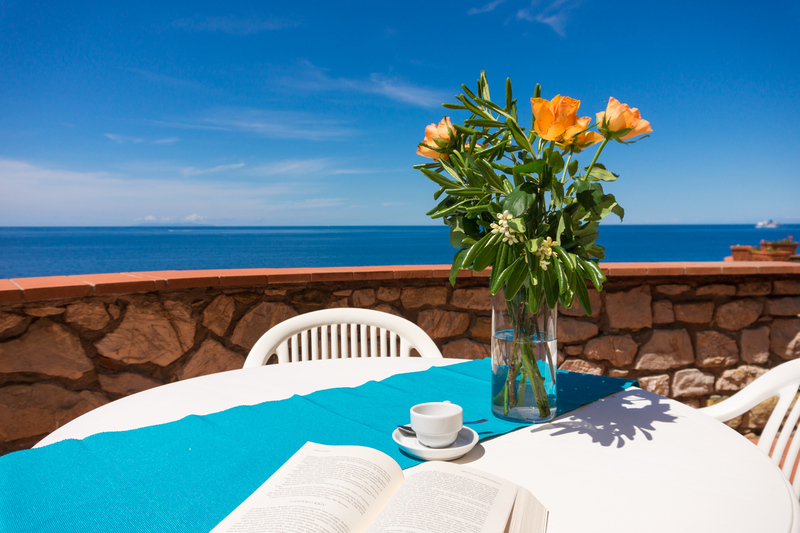 Thanks to the different levels on which the Villa is settled, each apartment has an independent entrance and a balcony or a veranda with garden table and chairs to appreciate the beautiful sea sight. 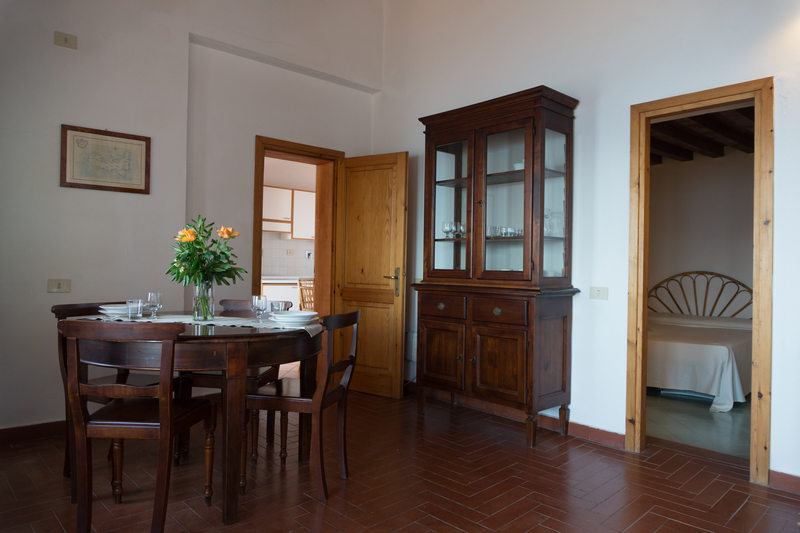 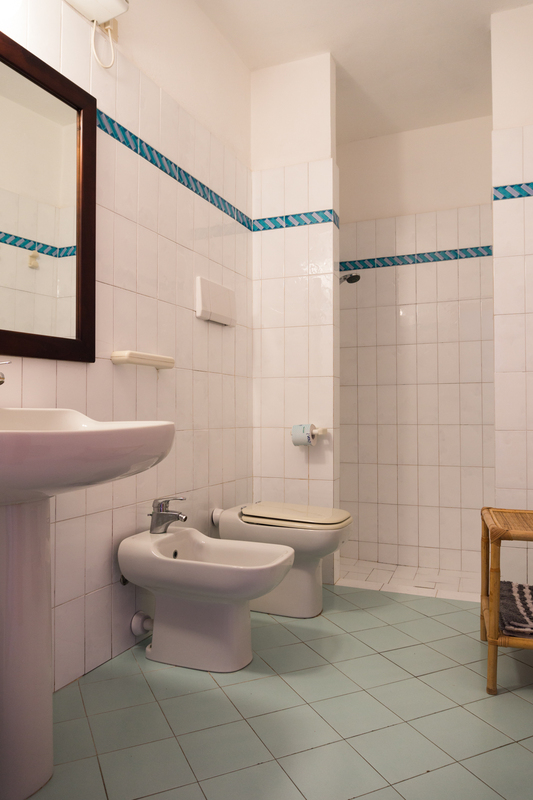 All apartments are comfortable and provided with equipped kitchenettes, air conditioning, TV. 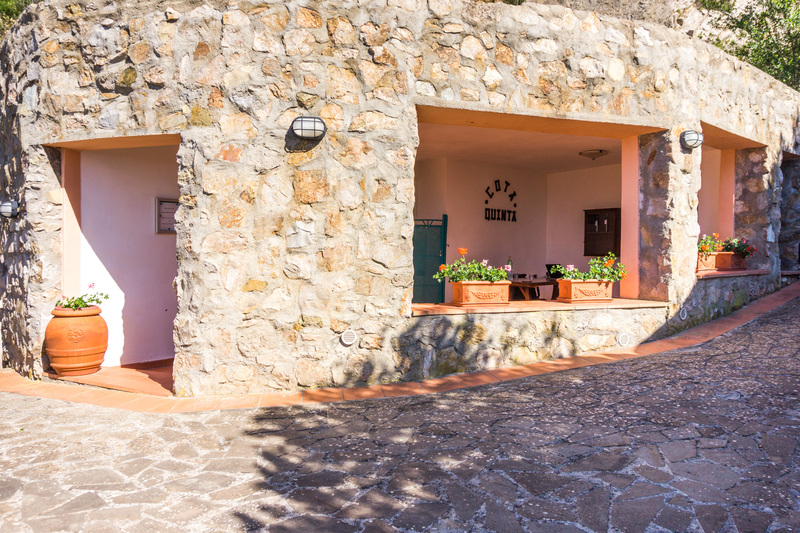 Two comfortable parking areas give you the possibility to leave the car inside the property and to walk down a short flight of steps to the Residence. 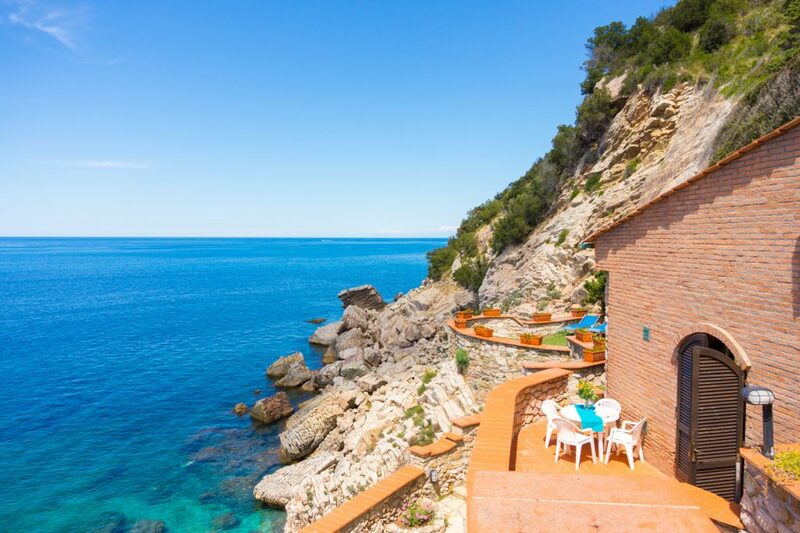 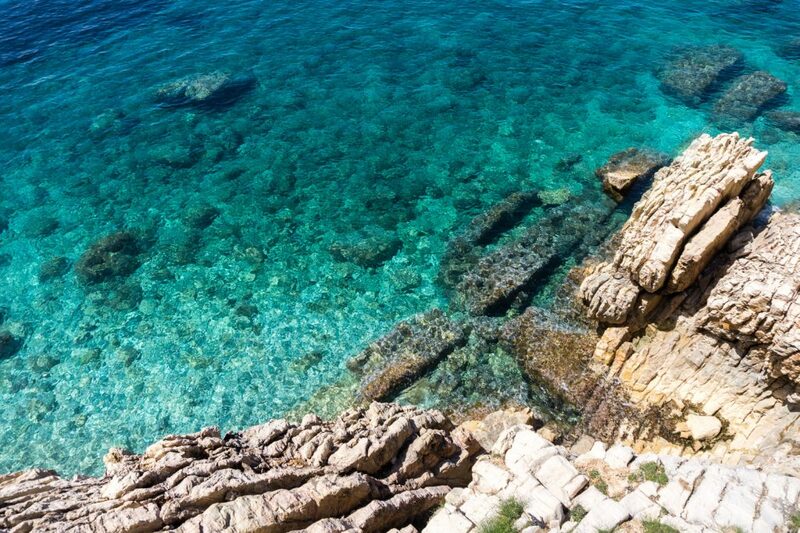 Snorkelling lovers and expert divers will find an enchanting environment in the deep waters surrounding Cota Quinta. Similarly, trekking lovers will find in the National Park, which runs behind the Villa, several the beautiful tracks to walk along. 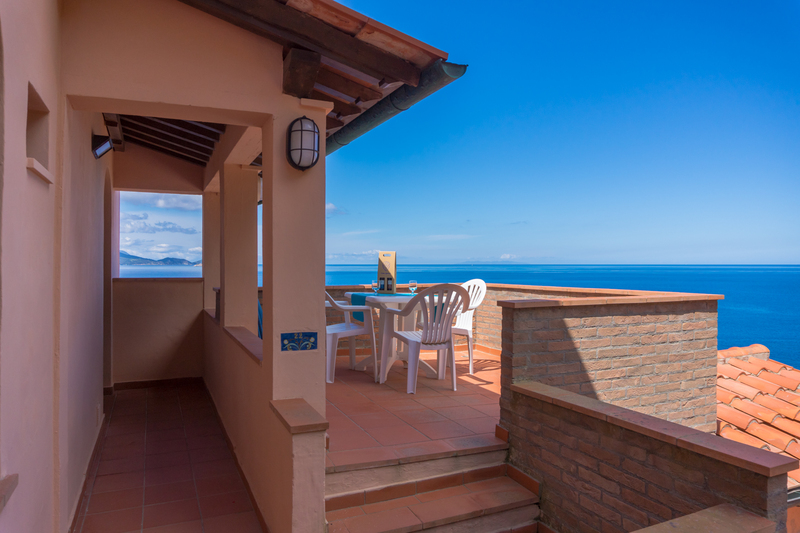 Nisporto beach is confortable and well equipped and is just 300 mt from the Residence. 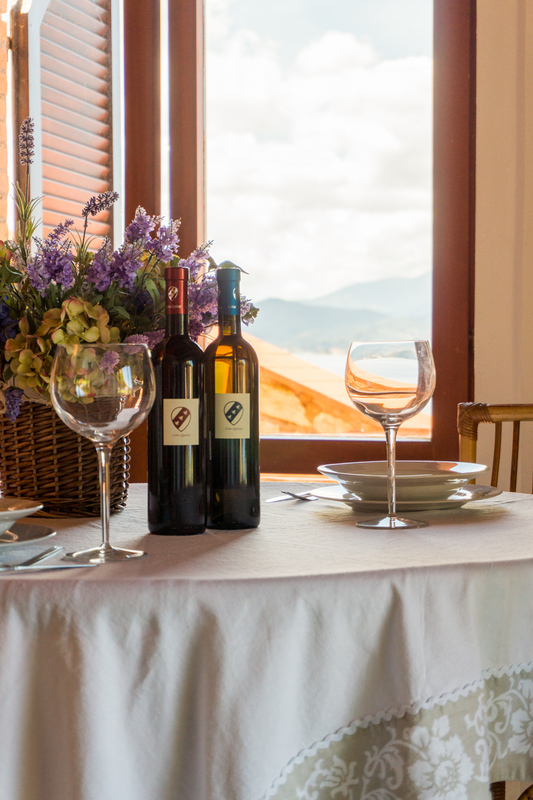 In Nisporto it is possible to find a small market, a bar and a Restaurant. 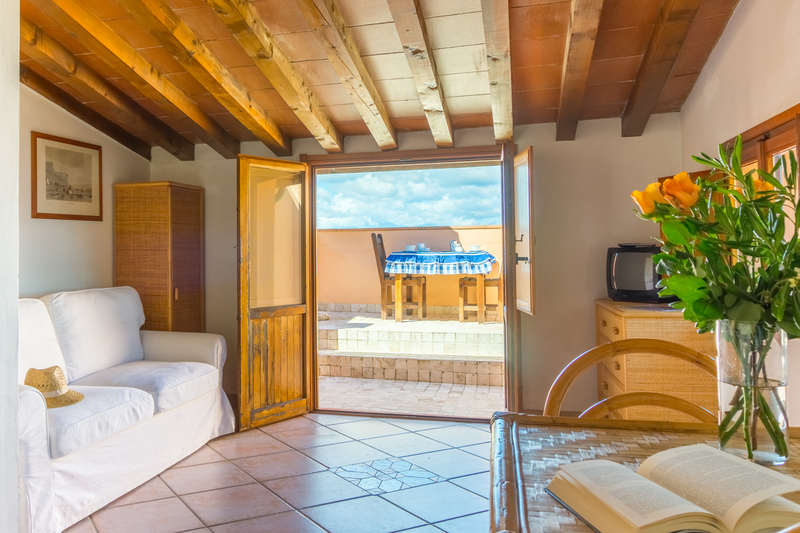 Cancellation policy: in case of cancellations made from 7 days before arrival and in case of no- show, one week stay will be charged on your credit card. 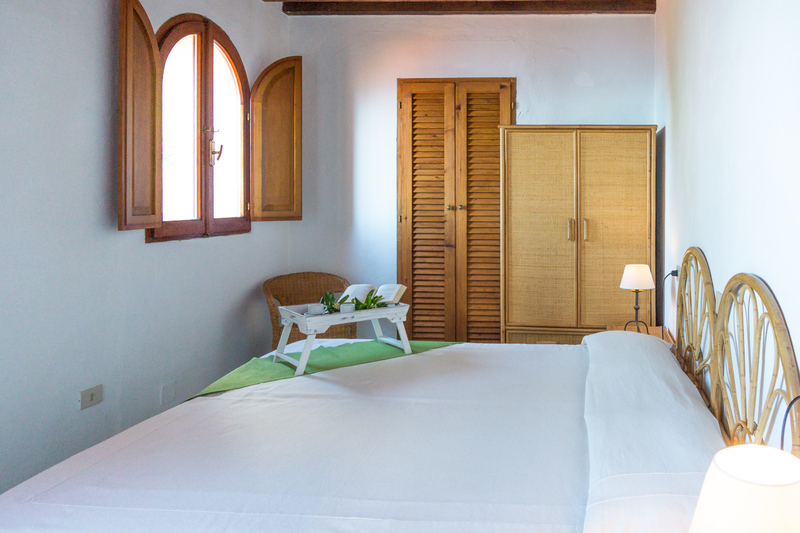 Check out time: before 10.00 a.m.
* Linen packets are available on demand and include bed linens and bath towels ( € 10,00 per person).